The text generator can be applied to different levels of content representation: to syntactic structures, semantic structures or discourse structure. See also Syntactic Annotator, Semantic Annotator and Discourse Analyzer. 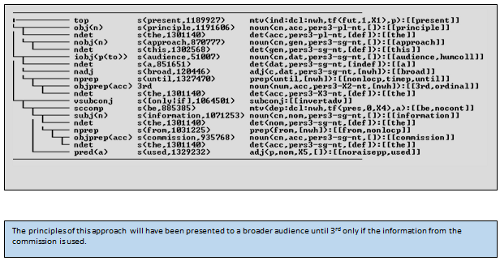 Combining text analysis, text modification and text generation many different variants of a text can be computed for very different purposes.